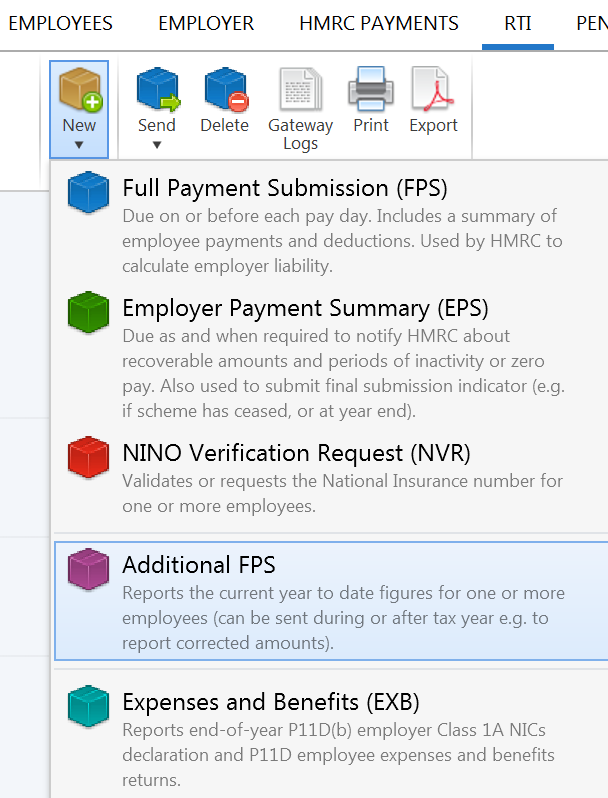 If you need to make a correction to employee(s) data and the corresponding Full Payment Submission has already been submitted to HMRC, you can inform HMRC of the amendment(s) to that pay period by submitting an Additional Full Payment Submission. 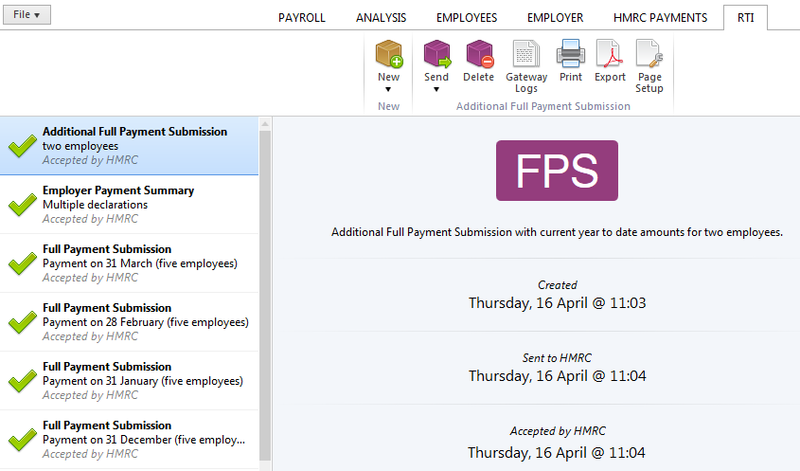 An Additional Full Payment Submission (FPS) can be submitted to HMRC at any time during or after the tax year. Re-open the payslips, make your amendments and finalise accordingly. Select the employee(s) for whom you have made adjustments and select an appropriate late reporting reason from the drop down menu.